The scene was as surreal as the sudden death of Argentina‘s most powerful and feared politician, who died of a sudden heart attack Wednesday at age 60. Nestor Kirchner seems to have clashed with everyone: the news media, the Catholic Church, the Supreme Court, farmers, industrialists, even Congress. 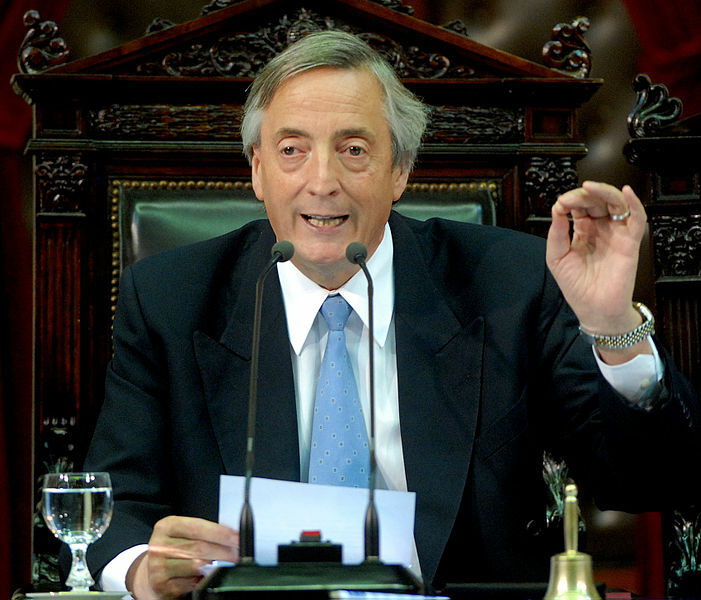 Before he died, it appeared Nestor Kirchner was preparing to stand again for the presidency in 2011. And suddenly — he’s gone. “I still can’t believe it,” a cabinet minister whispered. Paraguayan President Fernando Lugo, bald due to the chemotherapy he is undergoing to fight cancer, stood to the side as the throng passed by the casket. 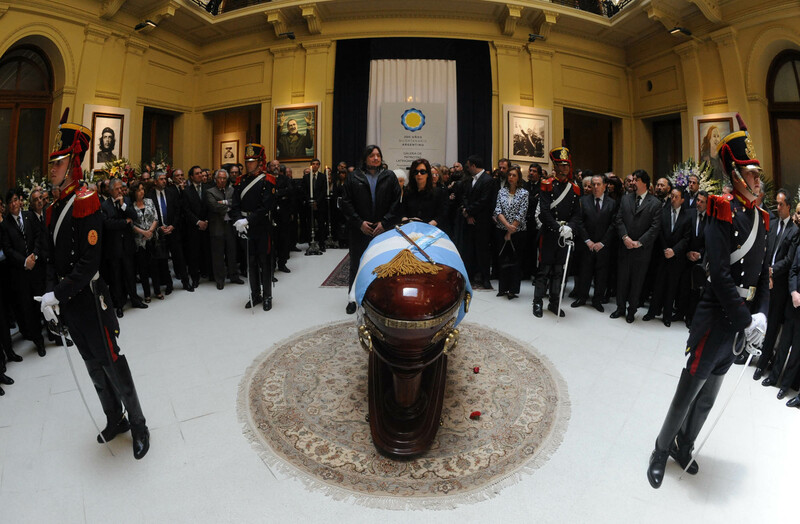 Cristina Kirchner accepted every condolence card, every written message, every flower. Brazilian President Luiz Inacio Lula da Silva arrived, and placed his hand on his Argentine counterpart’s shoulder for a long time. The crowd ignored the foreign dignitaries and looked only at their president. “Hold on, Cristina!” cried a well-wisher. via AFP: President Kirchner hugs well-wishers at husband’s wake. This entry was posted in Politics and tagged Argentina, Catholic Church, Cristina Fernández de Kirchner, Death, Diego Maradona, Fernando Lugo, Nestor Kirchner, President of Argentina. Bookmark the permalink.